The goriest and funniest outing yet in a superior police procedural series involving Bureau of Indian Affairs investigator Emmet Parker and FBI Agent Anna Turpinseed (Spirit Sickness, 2000, etc.). Cursed are those who disturb the bones found when a spillway near the dammed John Day River in Oregon is flooded to help migrating salmon swim upstream. Uncovered by a rogue fossil-collector on land belonging to three Indian tribes, the remains are claimed immediately by tribal groups. Meanwhile, Parker and Turpinseed have yet to consummate their mutual passion, frustrated by neurotic fears that burden Turpinseed as a result of childhood sexual abuse. A psychiatrist advises them to try expressing their love-lust in public places, such as a roller coaster in a Las Vegas casino. Throughout, then, the running joke is that each time things steam up, the pair must answer the call of duty. What could have been an easy assignment, to officiate at the pro forma autopsy by loquacious anthropologist Thaddeus Rankin, becomes complicated when Rankin identifies the remains as belonging to a “Caucasoid” male who was murdered and cannibalized 14,600 years ago. Into this complicated situation steps Nels Sward, an unsettling adherent of ancient Norse pagan religion whose wife is having an affair with Indian shaman and sometime rodeo performer Tennyson Paulina. Sward is squabbling with tribal authorities over rights to rebury the body when one of the autopsy's witnesses mysteriously vanishes. Then the disemboweled body of the fossil collector is found gutted and roasting over coals. 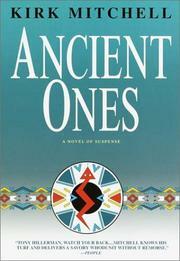 Mitchell piles up corpses and controversies as his characters wrestle with contradictions in Native American morality and racial origin, especially after Parker and Turpinseed begin to suspect that the old bones in question might be much younger than they seem. The villain's identity will be obvious to some, but Mitchell's busy mix of gruesome horror, romantic pratfalls, and eerie mysticism keeps the suspense uniformly high.